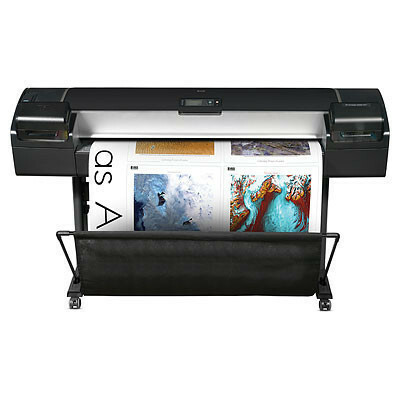 HP Designjet Z5200 PS CQ113A large format Graphics & Fine art printer will save you half the number of steps needed to get a print making it’s easier to use and you more productive i ideal for both Architectural and Graphics environments due to the embedded postscript and versatile handling of different file types. 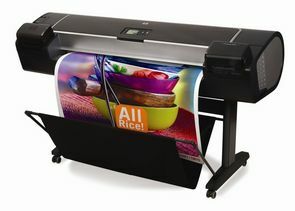 Take advantage of a printer that is so easy and intuitive, you’ll wonder why you waited to bring large-format printing in house or why you hadn't of upgraded earlier! • Eliminate and automate many of the steps involved with traditional large-format printing. HP Instant Printing Pro streamlines the printing process from beginning to end with fast, easy file preparation along with automatic nesting, preview, orientation & crop marks. • Achieve desired colours quickly while minimizing unnecessary and expensive trial & error printing. The printer’s embedded spectrophotometer enables automatic calibration and profiling for greater colour accuracy & consistency.